Certification: ASTM D1729, ISO3664, DIN, ANSI and BSI. We will reply you at first time. Colors appear differently under different lighting sources. To avoid/reduce the assessment error when performing color contrast, we can use of a Light Booth / Viewing Booth / Color Light Box to simulate different light sources to obtain an objective assessment of color and color difference, anytime, anywhere. 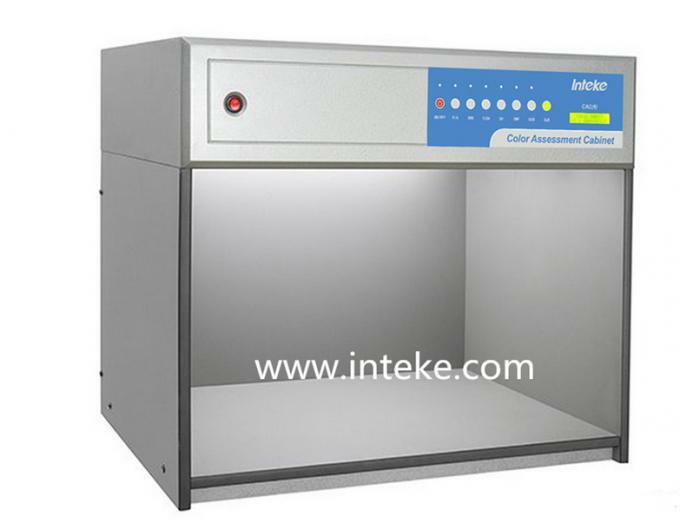 UV Viewing under ultraviolet light to detect and evaluate optical brighteners or fluorescent pigments. > INTEKE Color assessment cabinet / Color Viewing Cabinet / ColorView LightBooth render color more accurately. 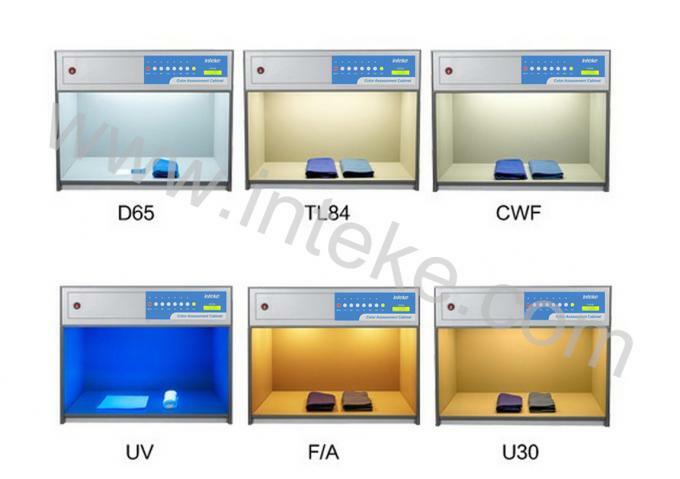 With 6 different light sources(D65, TL84, CWF, F, UV, U30), which can detect the metamerism. > Meets or exceeds major international standards for visual color evaluation including: ASTM D1729, ISO3664, DIN, ANSI and BSI. > Easy to operate by using individual switches for each light source. > Elapsed time meter for tracking optimal lamp replacement. > Automatically alternating among light sources. > No warm-up time or flickering which insures quick and reliable color judgment. > Economic power consumption and low heat generation for high light efficiency. > The dimension can be made by customized. .